Walking with Jesus: Day 89: Acts 28:1-10 & Prov. 28:19-28 - How Do the Blessings of Common Grace Prepare the Way for the Gospel? Day 89: Acts 28:1-10 & Prov. 28:19-28 - How Do the Blessings of Common Grace Prepare the Way for the Gospel? How Do the Blessings of Common Grace Prepare the Way for the Gospel? As soon as Paul and his shipmates are shipwrecked on Malta, they are greeted by a pleasant surprise: The natives on Malta, who are non-Greek-speaking primitives, greet them with great hospitality. They welcome the shipwrecked men with kindness and kindle a fire for them to help dry them and keep them warm. Then, after the viper grips onto Paul's hand, the natives show a basic understanding of divine justice. How did these non-Christian, pagan people get these virtues? Common grace certainly includes all general blessings of good weather, health, food, water, etc., but it also includes measures of civic righteousness. Paul told believers to submit to human governments in Romans 13, describing non-Christians Roman government in these terms: "For there is no authority except from God, and those that exist have been instituted by God. Therefore whoever resists the authorities resists what God has appointed, and those who resist will incur judgment." (Rom. 13:1-2, ESV) How can secular governments provide justice? Only by God's common grace. 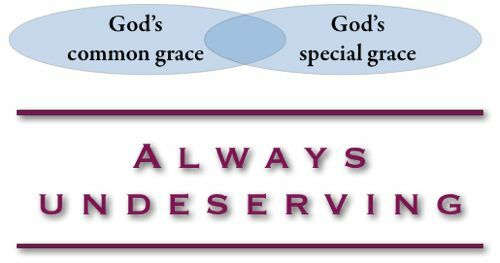 In today's passage, we see another aspect of common grace. These Maltan natives had hospitality and a sense of justice that prompted them to welcome these shipwrecked men and also to recognize that Paul must be someone special if he was able to shake off a viper that had bitten his hand without being hurt. Their decency and sense of justice prepared them to be able to receive Paul and to be touched by God's hand through Paul's ministry among them. So common grace not only provides material blessings and civic justice but also prepares people to receive Gospel ministry. 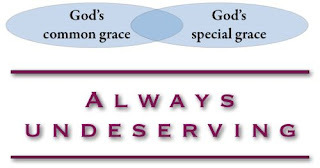 Heavenly Father, we thank You for all of Your grace, for saving grace and for common grace. Thank You for blessing people who do not deserve it. Thank You most of all for preparing us to hear Your Gospel and to receive and rest upon Your Son for salvation. We thank You in His name, Amen. Heavenly Father, by Your goodness, we enjoy great blessings in this life. Give us diligence in our work and good fruit from our labor. Father, keep us from the sins of greed, favoritism and flattery. and may we never love material possessions more than people. and may we trust in You alone for our security. keeping us from self-reliance and foolishness. and may we be a blessing to our neighbors as we serve them in Your name. Amen.